Check Me Out launched in 2015 with the aim to connect people with colour and design and encourage them away from fast throwaway fashion. 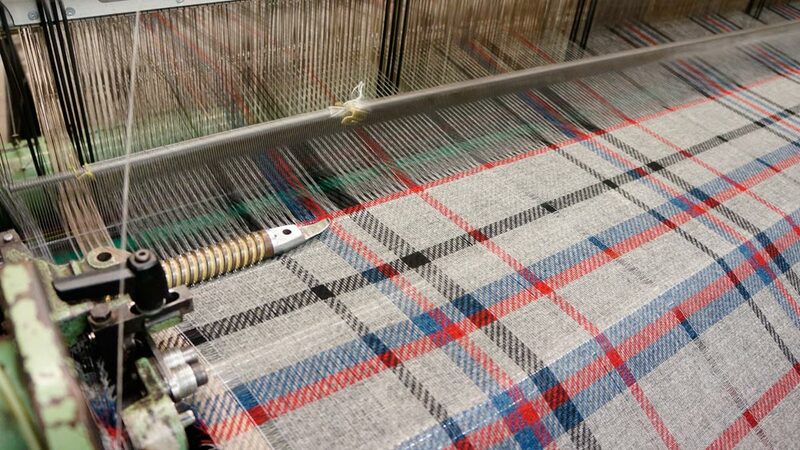 Holly Pressdee, the founder of Check Me Out graduated from Chelsea College of Art and Design in 2009 with a degree in woven textiles, and has been working within the British textiles industry for the last 7 years with the brand Dashing Tweeds. During her degree her main area of research was emotionally durable design and the meanings of patterns culturally, where she was inspired by the heritage and meaning of tartan fabrics. After finishing her degree, she started a blog where she would design bespoke check patterns by taking photos of her friends and family, abstracting the colours of their skin, hair, eyes and what they were wearing and use these colours within the designs to create their unique check patterns. This lead to the creation of her company where she wanted to create check patterns a wider audience could connect with and began by designing the London check, using the colours of the London underground tube map. The map is such an iconic image for londoners and tourists, everyone has associations with the tube lines they use. Now in her second year of business she has divided the map into 4 sections and has created a unique check pattern for the North, South, East and West of London. For this Autumn/Winter, Holly has recently launched a Kickstarter campaign, testing out her new designs as she is adding blankets to her range. She chose to crowd fund this collection to help test the market and build up more of an international following. 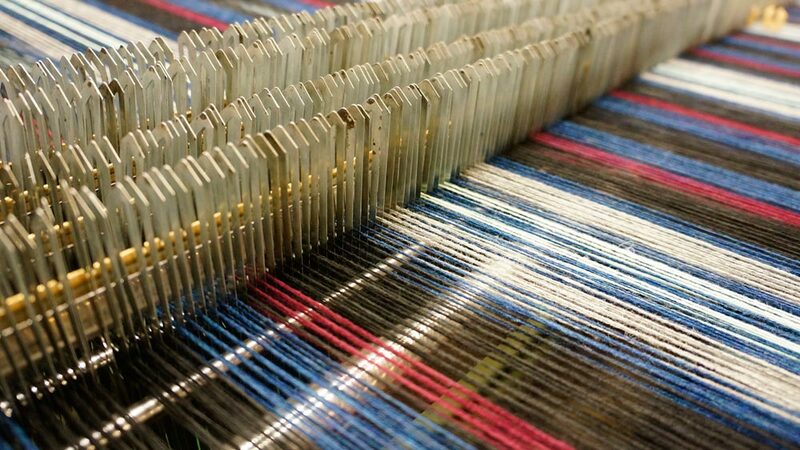 Focusing on producing the collections in the UK, all her designs are woven in the Scottish borders with the commission weaver Drove. Robbie Trussler and his brilliant team have been working closely with Holly to bring these designs to life for the final collection this winter. This entry was posted on Tuesday, May 16th, 2017 at 1:13 pm	and is filed under Company Profile, General, New weave developments. You can follow any comments to this entry through the RSS 2.0 feed. You can leave a comment, or trackback.